Turkey-EU negotiations for membership are out of order since they started seven years ago. Now, regarding the results one can easily conclude that they are not impressive at all. Only 13 chapters have been opened out of a total of 33, while 10 are waiting for both sides to come to an agreement to them and 10 have been blocked by Cyprus. Negotiations, or rather the adoption of EU legislation, have only been concluded on the science and research chapter. Who is responsible for this pitiful state of negotiations? For sure, there is more than one actor and the Cyprus presidency cannot be ranked first. That presidency will come to an end in two-and-a-half-months and even then the situation will not improve for the simple reason that negotiations were already at an impasse before Cyprus took over the EU presidency. First of all, it must be noted that the negotiations started on flawed ground. The negotiations for full membership began following the council meeting of December 2004 during which Turkey was declared “a candidate member”; however, at the same time Turkey was told that membership was not guaranteed even if the two sides managed to come to an agreement on all of the chapters. One can ask, of course, why Turkey accepted to negotiate under this condition. In other words, why would Turkey accept adopting the EU's rules and laws, particularly in areas, like competition, public procurement, environment, etc. 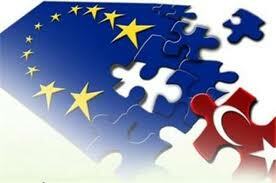 where conflicts of interest are unavoidable as long as Turkey is not a full member of the EU? The answer to the question has never been given officially, but I can suggest two possible answers: First, the Justice and Development Party (AK Party) government that won the November 2002 elections with only 34 percent of the vote needed to absolutely consolidate its power, and the start of EU negotiations was considered an important tool in both preventing a very probable military intervention and for pushing economic growth. My second answer is that the AK Party, considering sincerely the EU membership as a strategic target for Turkey, thought that EU members opposed to Turkey's membership would change their minds, admitting that with time Turkey would become indispensable for Europe. It is likely that within these two possible answers lies the truth, but what does matter is that negotiations started and they contributed largely to the consolidation of the democratic regime as well as to its economic success, at least in the first phase. Then the opposition to Turkey's membership from the European side became more and more apparent and hurtful. Former French President Nicolas Sarkozy said on many occasions that Turkey will never enter the EU since “it is not a European country.” And in order to prove its determination, he blocked five chapters considered critical to full membership. As for German Chancellor Angela Merkel, she was perhaps less hurtful than Sarkozy, but not less opposed to Turkey's membership. France and Germany, not willing to risk irreversible damage to EU-Turkey relations, offered Turkey the status of a so-called “privileged partnership.” Turkey rejected it categorically since it was very difficult to see where the “privileges” lay. Last but not least, the Greek government of Cyprus, thinking that negotiations could be a good opportunity to pressure Turkey to recognize a single, Greek-dominated union government in Cyprus, decided to block, on its own, some additional chapters. While these negative attitudes were cooling the appetite of Turks for EU membership, the AK Party government was becoming more and more self confident as the economy was booming; exports were successfully being diversified towards the East and the risk of military coups was over. Has the AK Party started to think that EU membership is no more a strategically important target for Turkey? I am not sure, but it should be noted that signs indicating the government is leaning in this direction are increasing. Nevertheless, I have to remind you that the EU continues to be the main market for Turkish exports despite the recent decline due to the European recession. Turkey will crucially need the EU when the recession is over in order to continue its export-led growth. Also, Turkey continues to crucially need European investments, which constitute three-quarters of overall foreign direct investments (FDI). Moreover, I believe that EU membership continues to be a unique political anchor for Turkish democracy in its quest for stability and consolidation of power. Recently, Stefan Füle, the EU commissioner for enlargement, declared that Turkey and the EU “have many common interests and Turkey is a key country for the EU,” adding, “It is in our mutual interest that accession negotiations regain their momentum, notably also to allow the EU to remain the benchmark for Turkey's reforms.” I agree. But this momentum risks, sooner or later, being totally lost if a clear perspective of membership is not given. Turkey has no interest in fully adopting the EU legislation and policies as long as full membership is not guaranteed. It should also be noted that such a perspective would largely facilitate a negotiated solution in Cyprus, which I believe is the main political obstacle to the membership. Is the new roadmap credible?